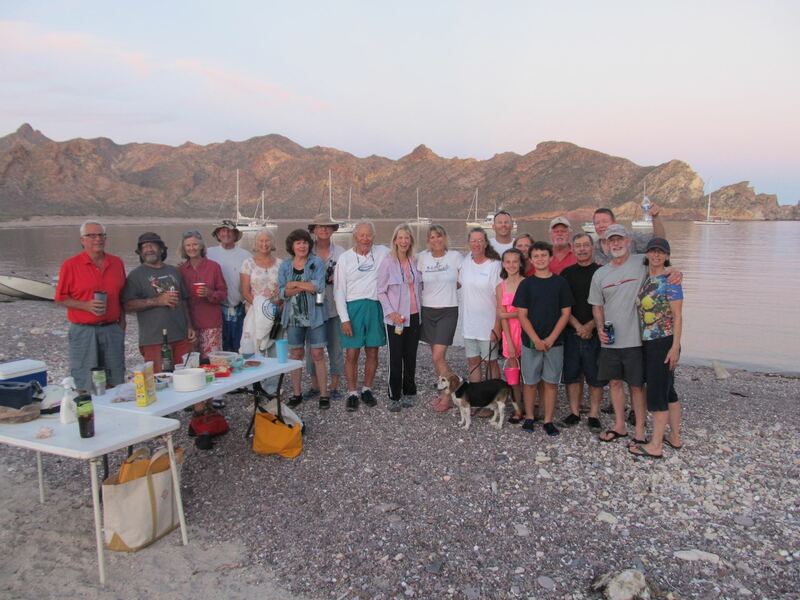 Join the Tucson Sailing Club in beautiful San Carlos, Mexico to cruise in the Sea of Cortez! 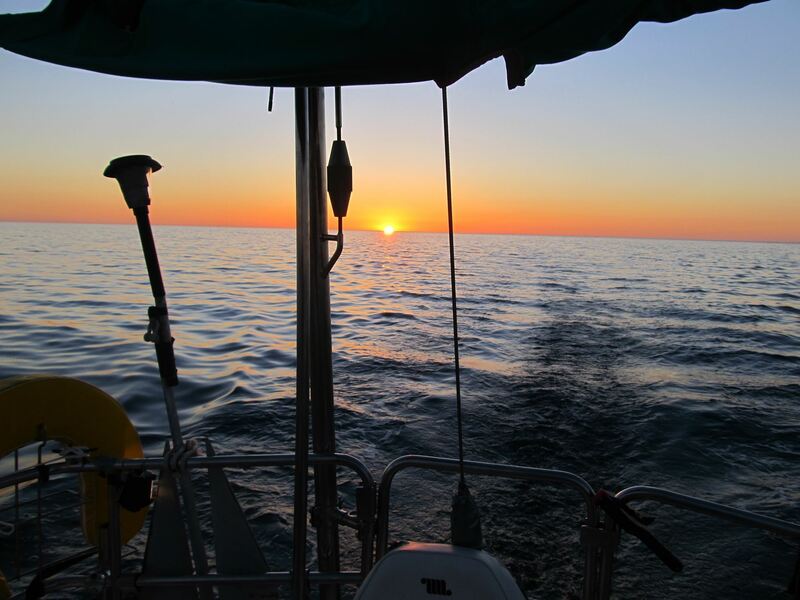 There will be two TSC cruises this spring, one starting mid May going across the Gulf to Baja and one Short cruise going North from San Carlos after the race. This is a cruise to some of the most beautiful anchorages on the Baja peninsula. It involves 2 overnight sails on this 11 day trip. Weather forecasts are becoming very reliable in the Gulf of California area. The actual route we take will be determined by the predicted wind direction. The routing chart & schedule below outlines the 2 ways we can travel with an approximate time table. Depart San Carlos 2PM Monday 5/13 for San Juanico, 96 miles, arriving about 2PM 5/14. 5/16 &17 Pto Escondito and Loretto, 5/18 Ballandra, 5/19& 20 Isla Coronado, 5/21&22 San Sebastian. Leave for San Carlos 4PM Wed. 5/22, 85 miles, arriving about 10 AM Thurs. Navigation charts of the San Carlos area. 2 main anchors with 150’ of rode for each. Auto pilot, not required but highly recommended. The 4-5 day after the race cruise will head north from San Carlos on Monday May 27, 12 miles to San Pedro Bay for 2 days then other 12 miles north to Las Cocinas Bay for 2 days, retiring to San Carlos on Friday June 31st. Activities and contests just like departure times are, as always, subject to the weather. passage. Using the motor can increase this by about 1 knot. Arriving at your destination in the dark is never a good idea. With this in mind, for slower boats, the best departure time for a daylight arrival is leaving San Carlos around 7AM either Monday or Tuesday. Winds tend to get stronger after 10Am. We will monitor Ch 74 and switch to 14,18, 22, etc. for conversations. On April 29th we will be having a cruise organizations meeting at Brother John’s Restaurant. The purpose is to coordinate all the activities pertaining to the 2 cruises and to match up boat owners wanting crew with persons wanting to crew on a boat. Dinner, (optional), will begin at 6PM and the meeting will start at 7PM. A brochure will be given out with details of the schedule, itinerary, charts, & events. But this brochure will only be available to those who register in advance. Our immediate goal is to match skippers & potential crew so please contact me with a brief description of what you’re looking for and, in the case of crew, what your skills are. There will be a pre cruise meeting for the May 13 trip Saturday 5/11 at Tequila’s restaurant in the marina at 6PM to finalize details of the trip. On Saturday May 25th there will be a second cruise meeting at Tequila’s restaurant at 6PM to discuss the up the coast trip. Questions? you may call me at: 520-404-8370.